This is The ONLY Chili I make anymore. 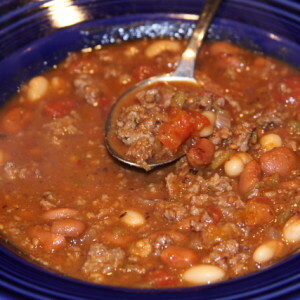 I am not a chili fan and I even enjoy this recipe, and my husband who really really likes chili LOVED this, he went so far to tell me to only EVER make this chili, and that is saying a LOT from the man that does not enjoy to eat. 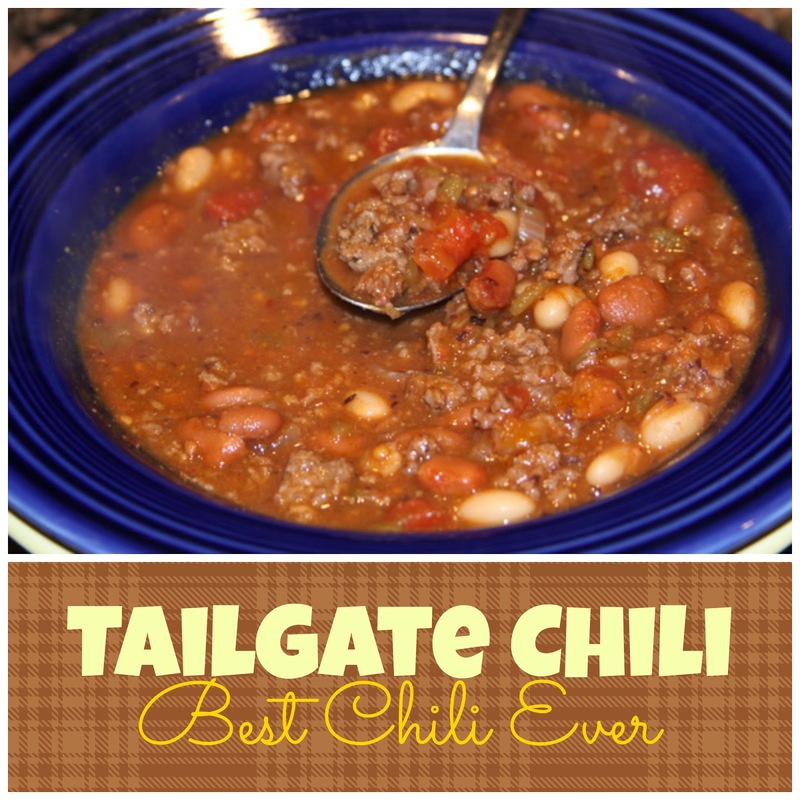 This does make A LOT of chili so be ready to share or freeze some but it is so good just like it is that I never want to mess with the amounts of ingredients. Heat a large stock pot brown ground beef and sausage. Drain once browned. 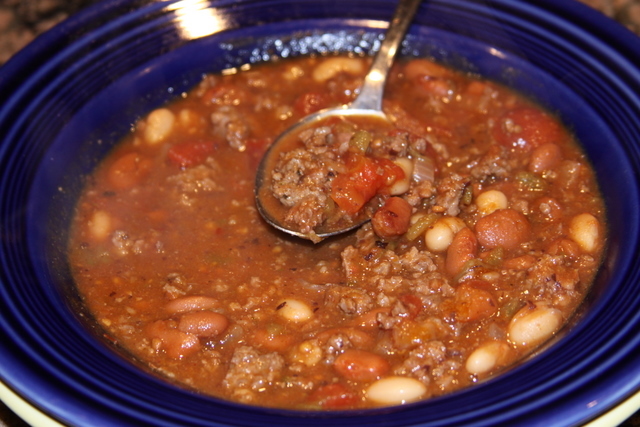 Pour in the chili beans, spicy chili beans, diced tomatoes and tomato paste. Add the onion, celery, bell peppers, jalapeno peppers, bacon, beef broth, and beer. Season with chili powder, Worcestershire sauce, garlic, Italian seasoning, cumin, hot pepper sauce, salt, pepper, cayenne, and paprika. Stir and simmer for at least 2 hours stirring occasionally.